The Kingdom Keepers' senior year in high school is almost over. For more than three years, things have been quiet. Their battles are long behind them, they agree, the threat to the Disney realm silenced?albeit at great cost. But inside the catacombs of the Aztec temple where Finn Whitman faced down his nemesis, the monstrous Chernabog, a new threat brews. 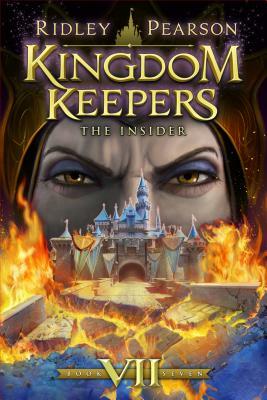 Deception and betrayal rock the Kingdom Keepers as the merciless group of Disney villains known as the Overtakers stage an unexpected comeback. But a discovery by the Keepers provides them with one hope of victory-a lost icon. It was believed to be gone forever. The Keepers have one last chance to preserve the heart of the Kingdom-Disneyland-from a terrifying destruction decades in the making.